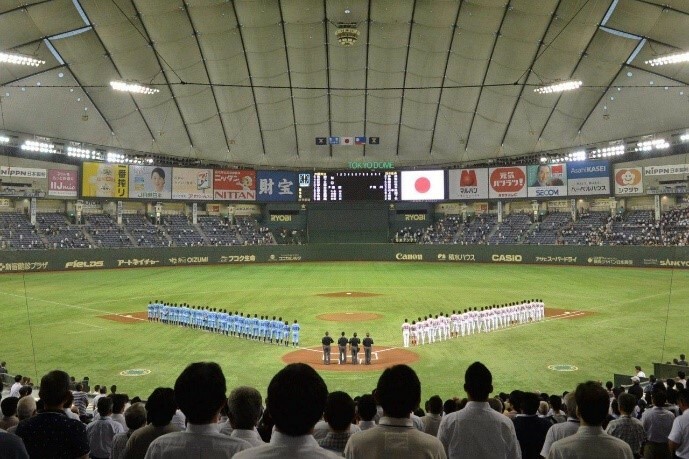 The 44th National Championship of Japan Amateur Baseball Association (JABA), co-hosted by The Mainichi and Osaka City, started at the Kyocera Dome Osaka on November 1st for 12 days participated by 32 teams. On Day-1, Nihon Shinyaku (representing Kinki and Kyoto) beat Oji (Tokai and Aichi) 3-1 and Osaka Gas (Kinki and Osaka) won over Saginomiya Seisakusho (Kanto and Tokyo) 6-5. JABA will host a family T-Ball class at 10 a.m. at Kyocera Dome Osaka on Day-4 (November 4) before the start of the tournament for kindergarten children and parents.